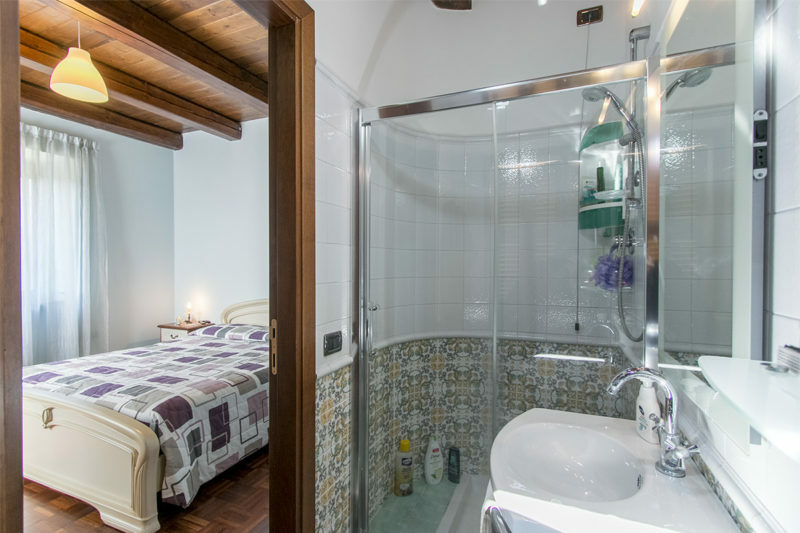 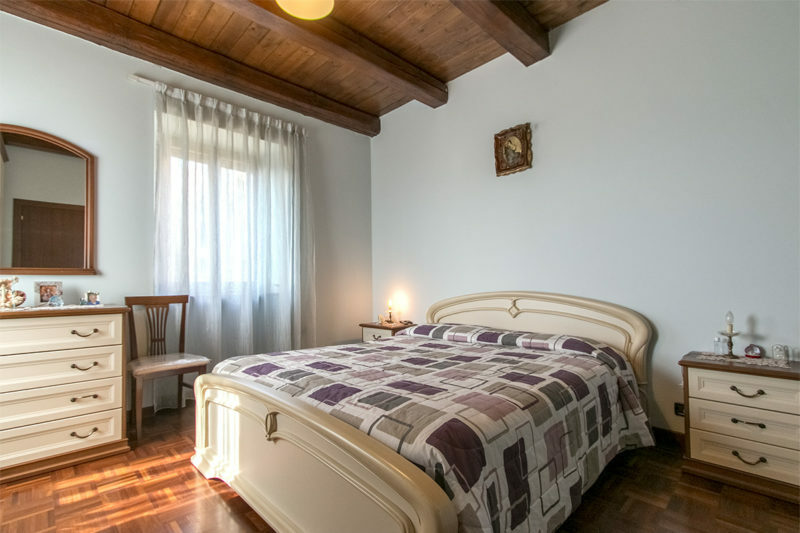 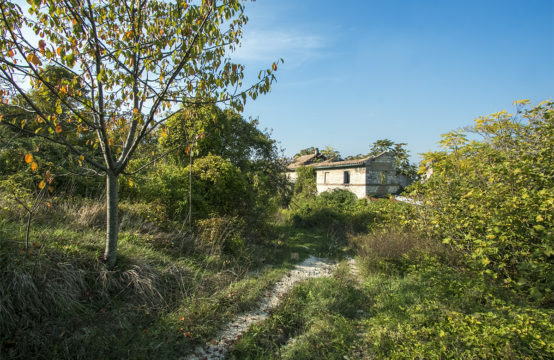 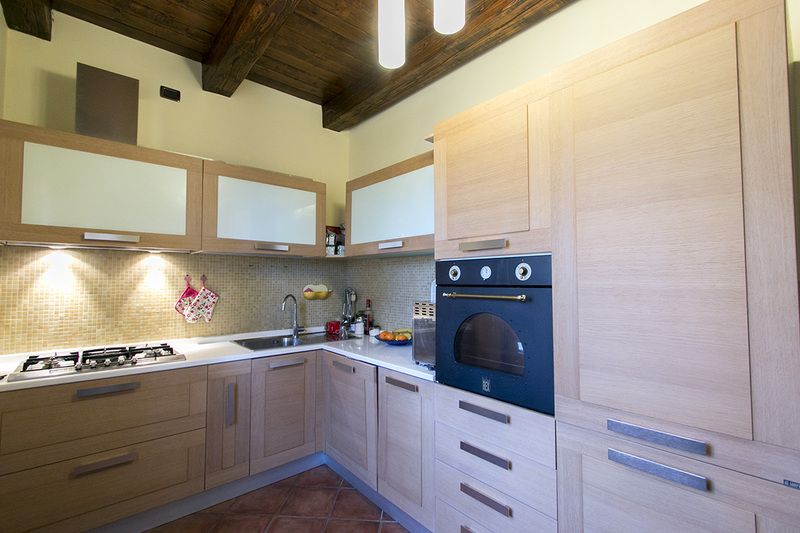 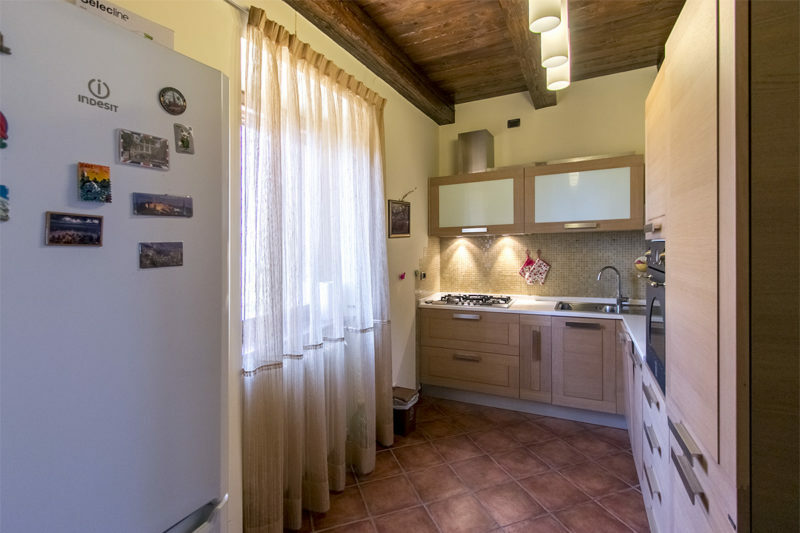 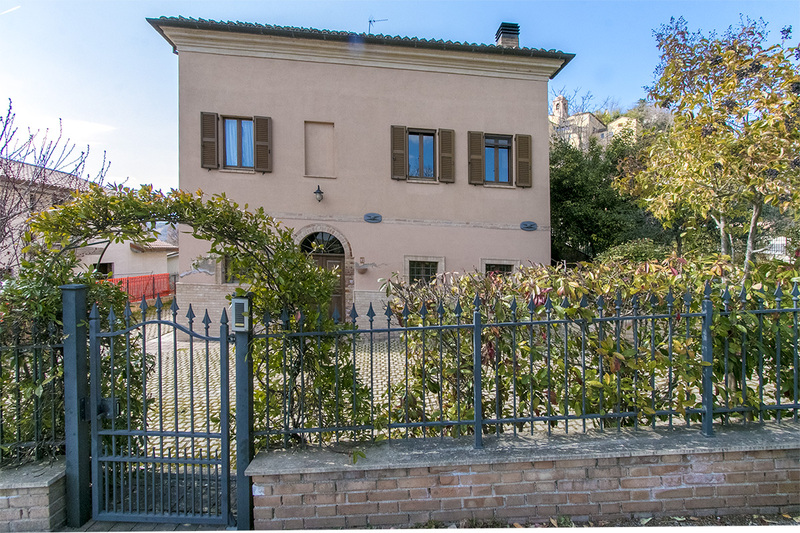 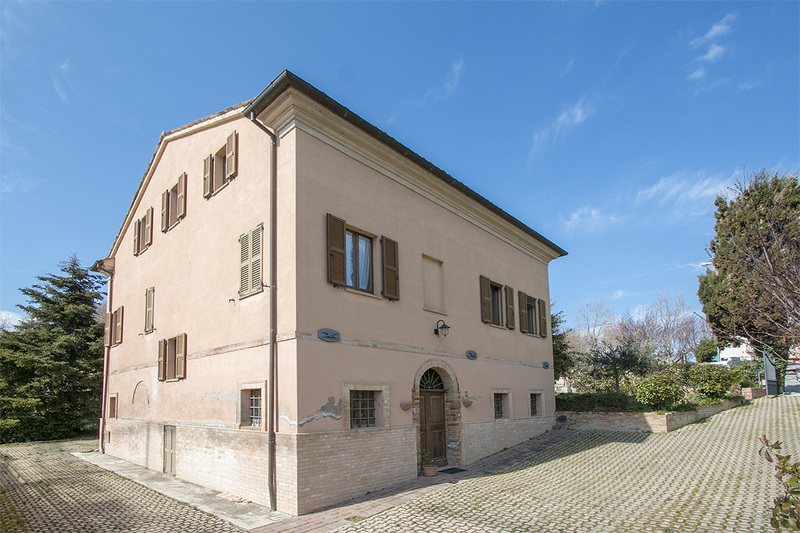 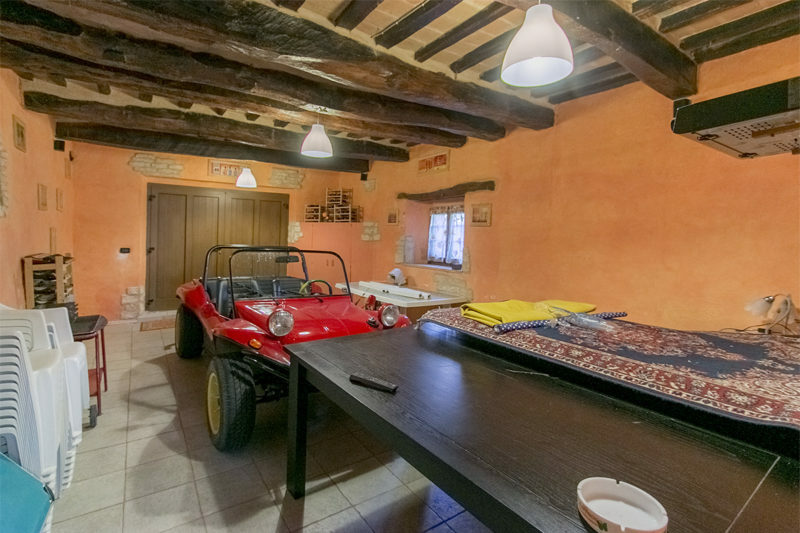 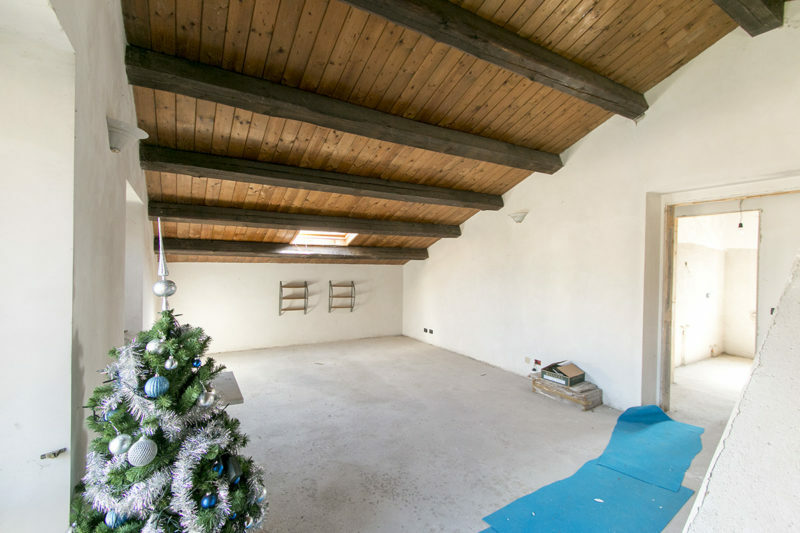 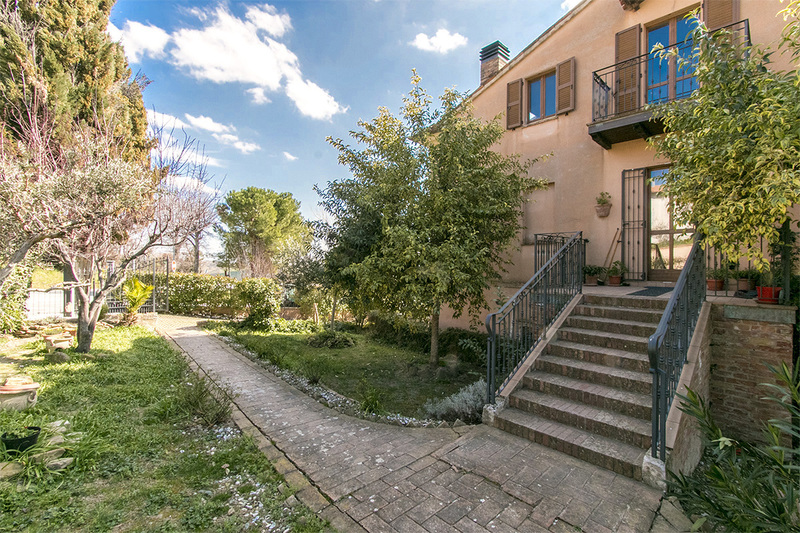 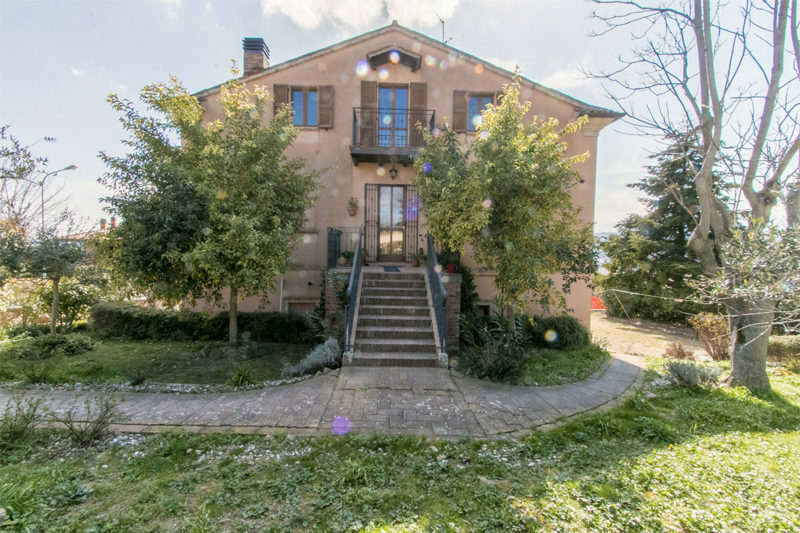 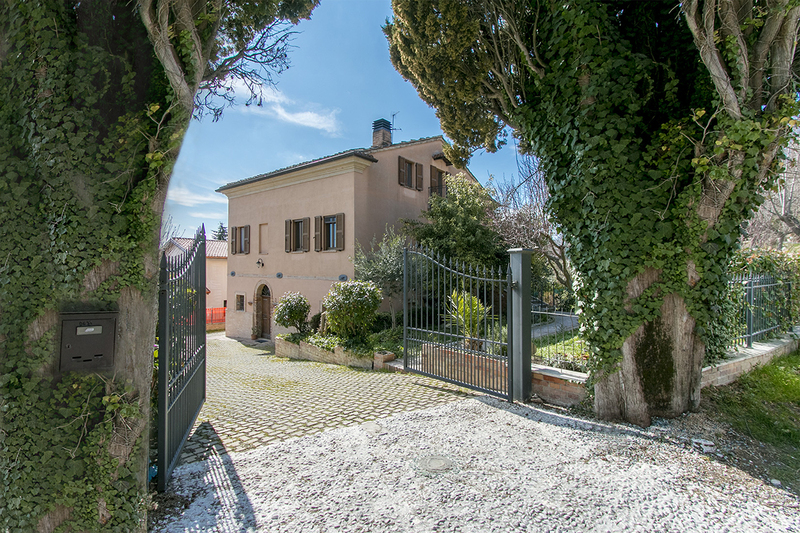 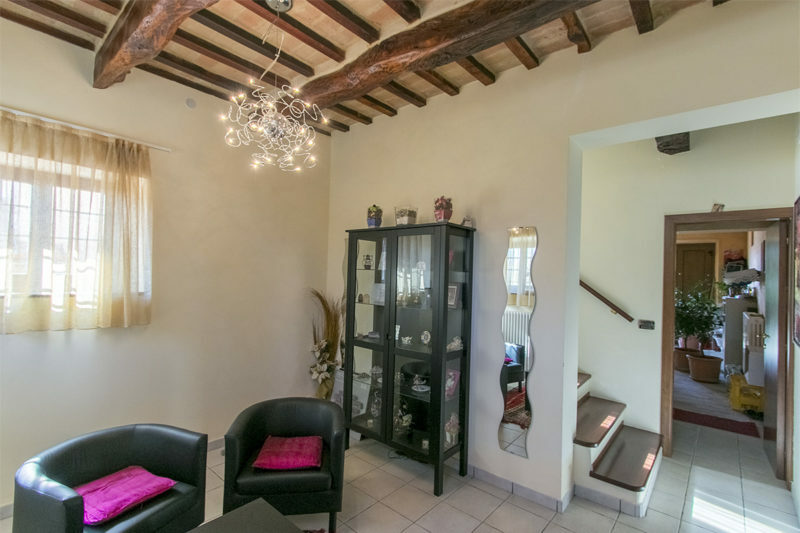 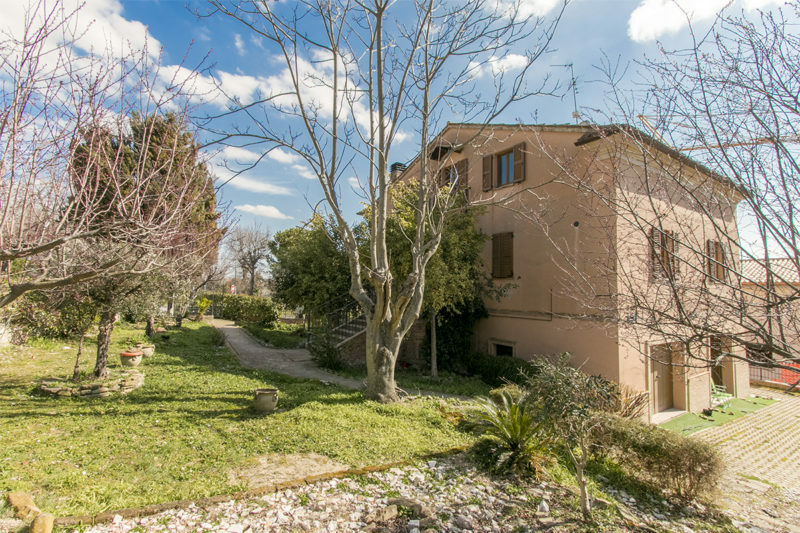 Beautiful single house restored with high quality materials, enjoys a large garden and excellent location, in fact it is located just 400 meters from the center of the medieval village of Sant’Angelo in Pontano, a beautiful typical Marche village which offers all services and excellent restaurants. 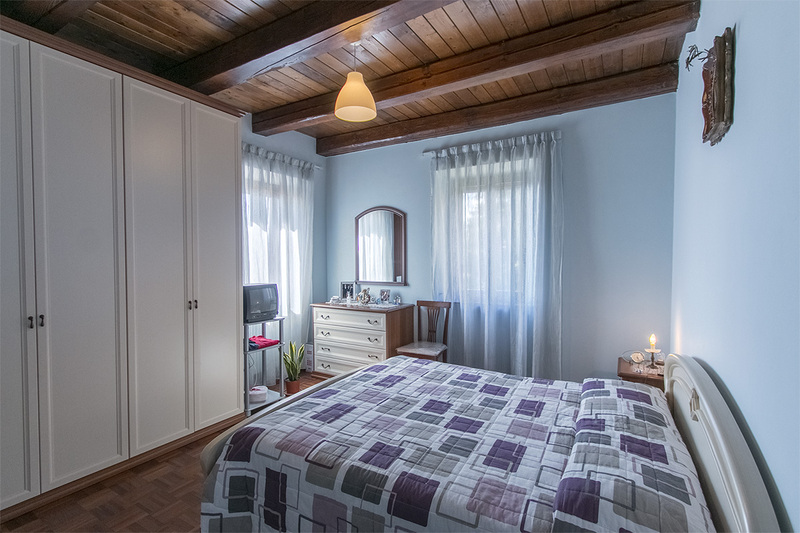 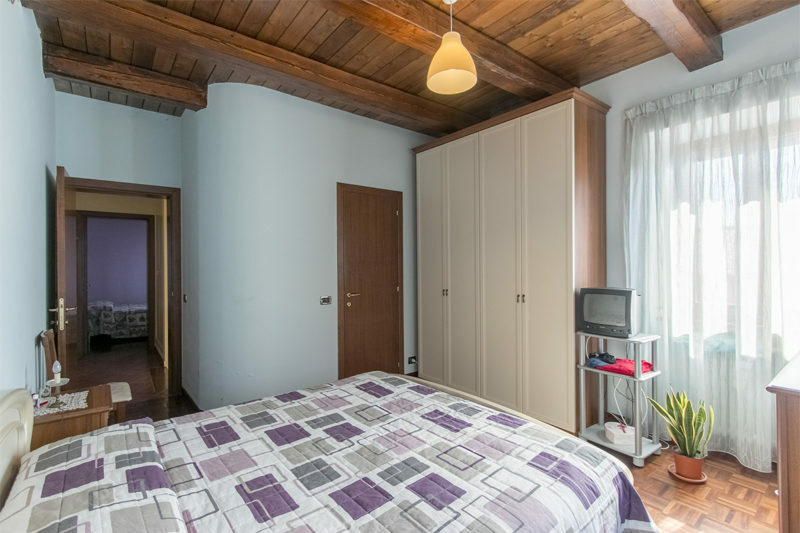 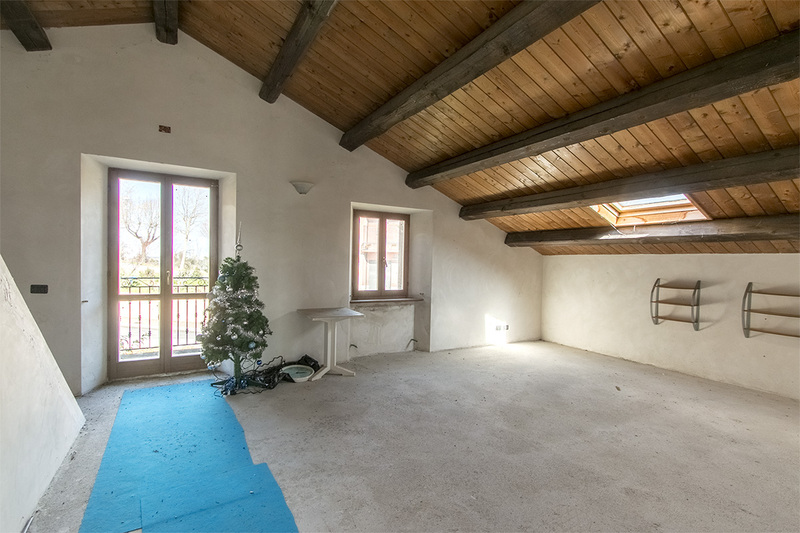 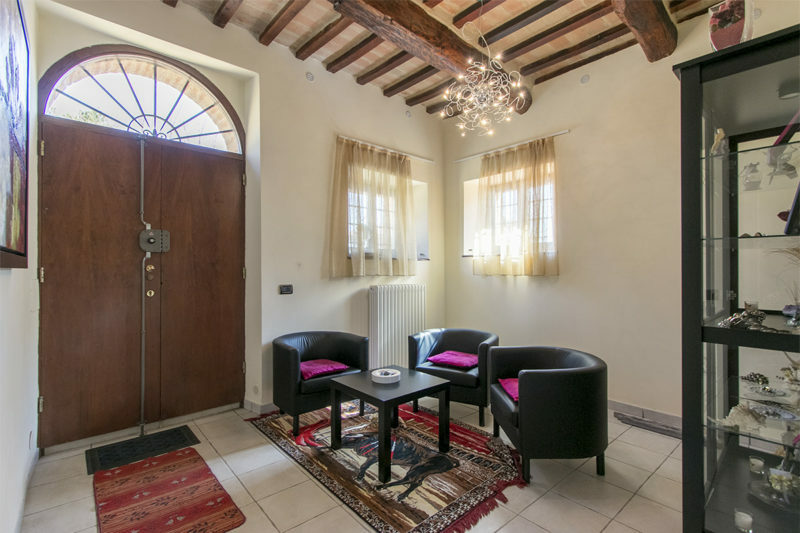 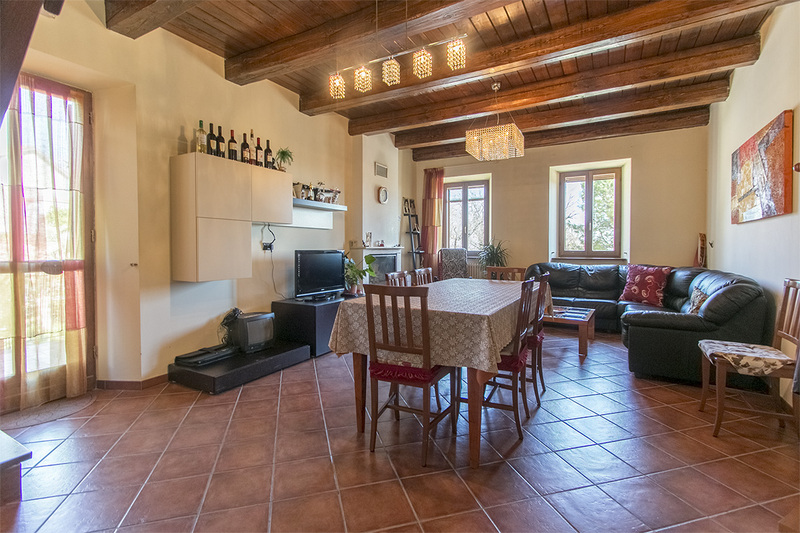 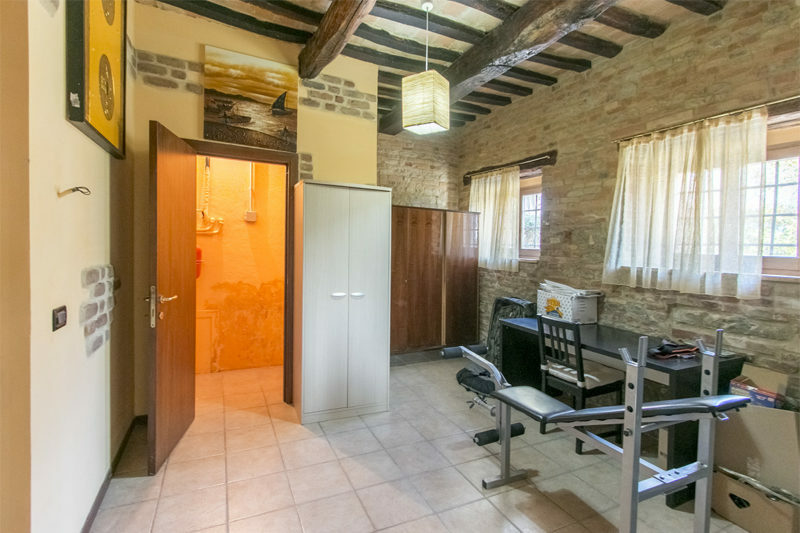 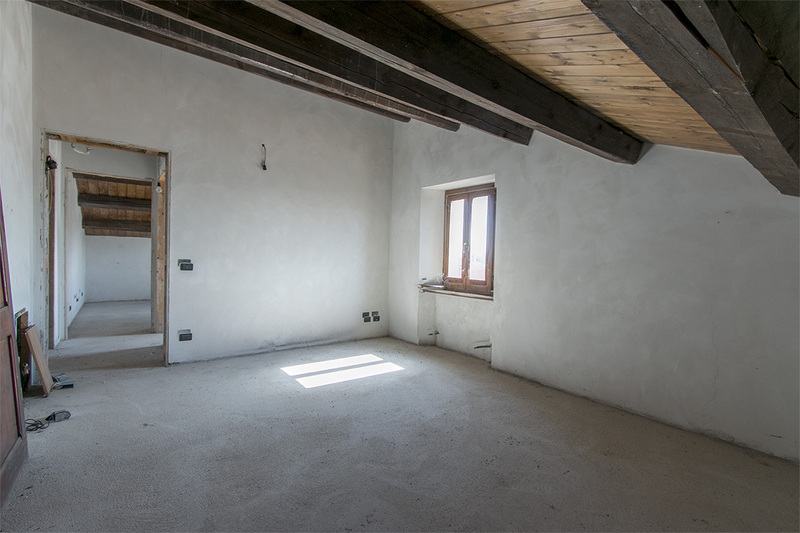 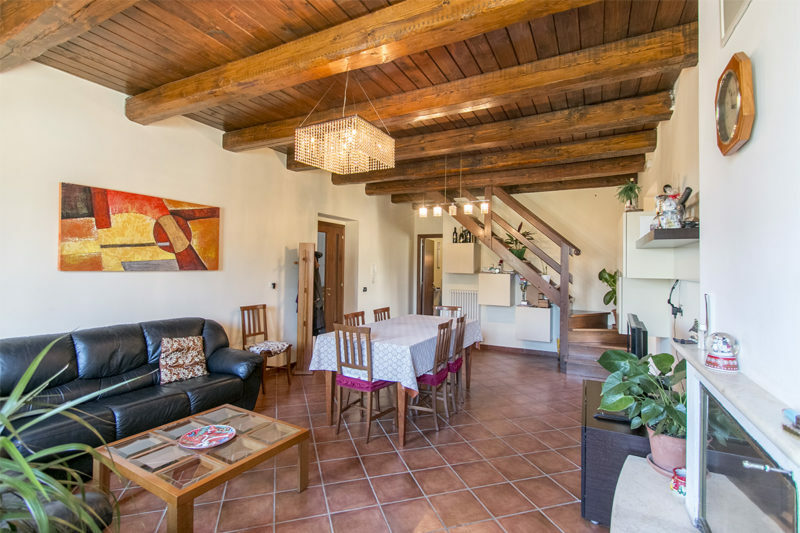 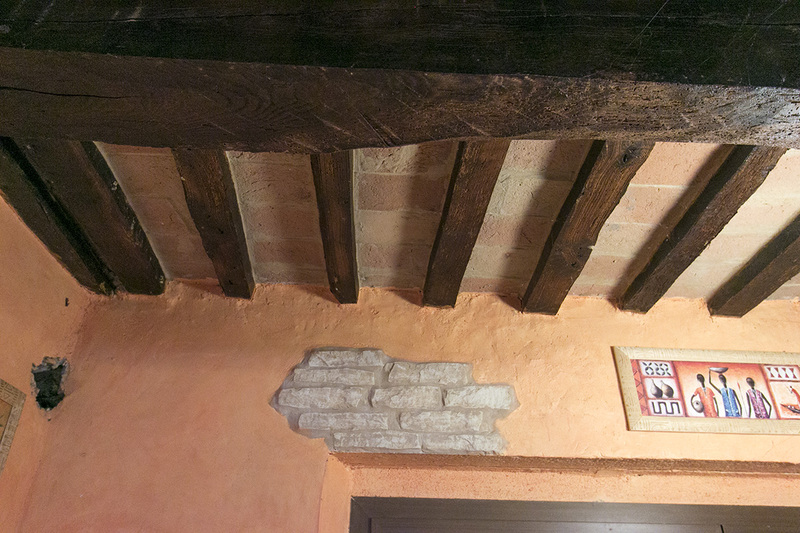 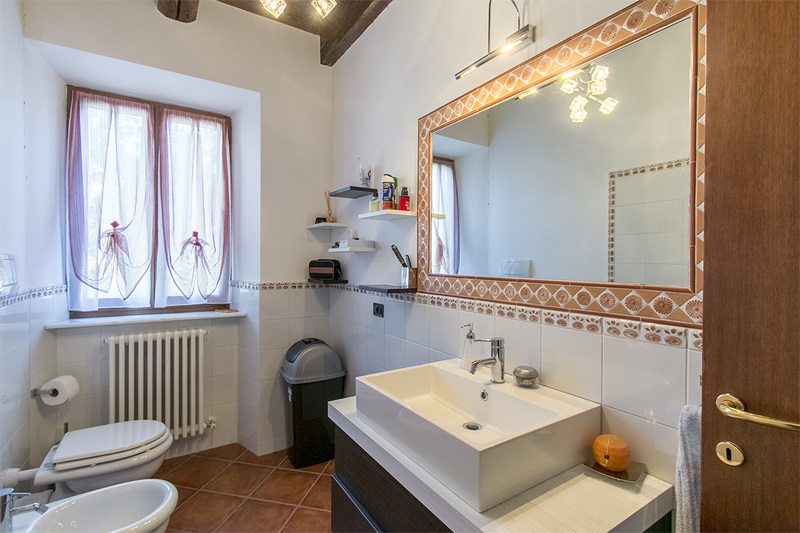 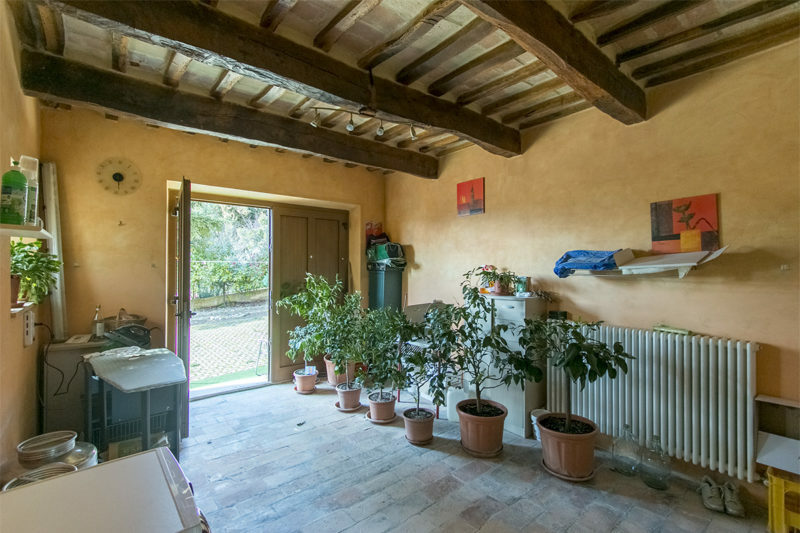 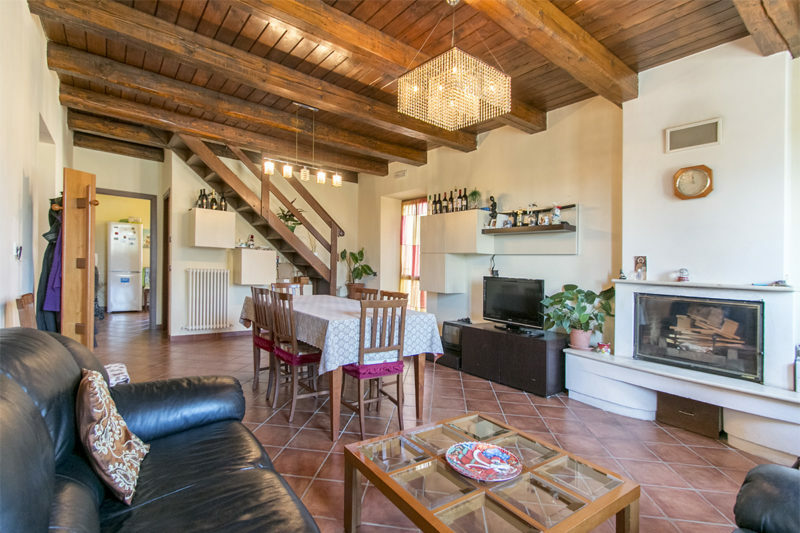 The ground floor has exposed ceiling with old stones, bricks and wood beams, consists of office, laundry room, taverna and garage, the same rooms can be utilized for other uses. 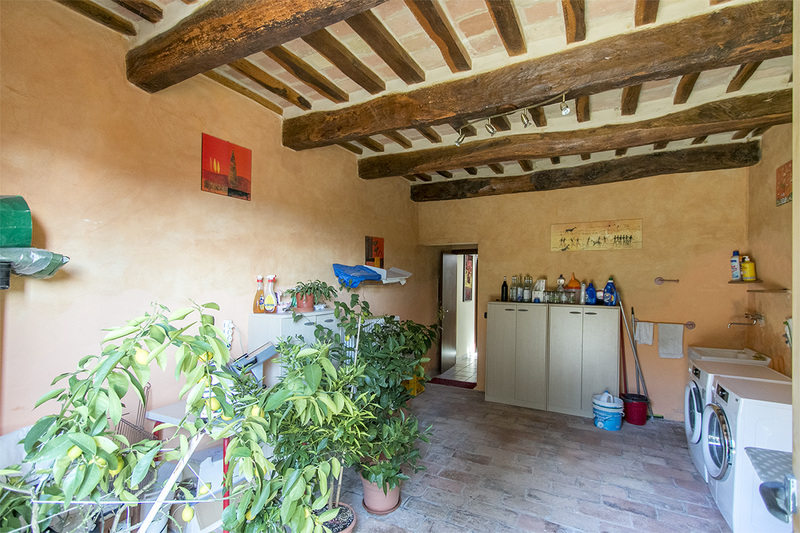 This floor has direct access to the garden sizes 600 sq.m.. 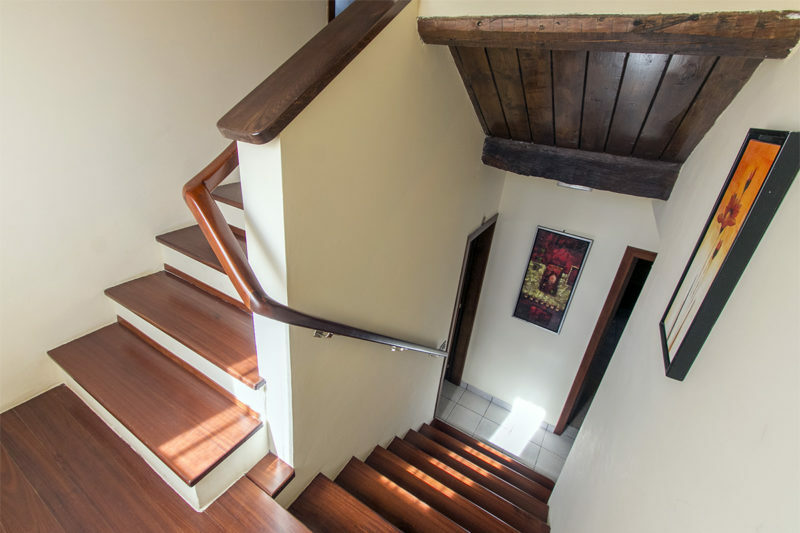 Through both internal staircase and external staircase you enter the first floor with wooden beam ceiling which consists of kitchen, large living room, bathroom, two double bedrooms, one with bathroom. 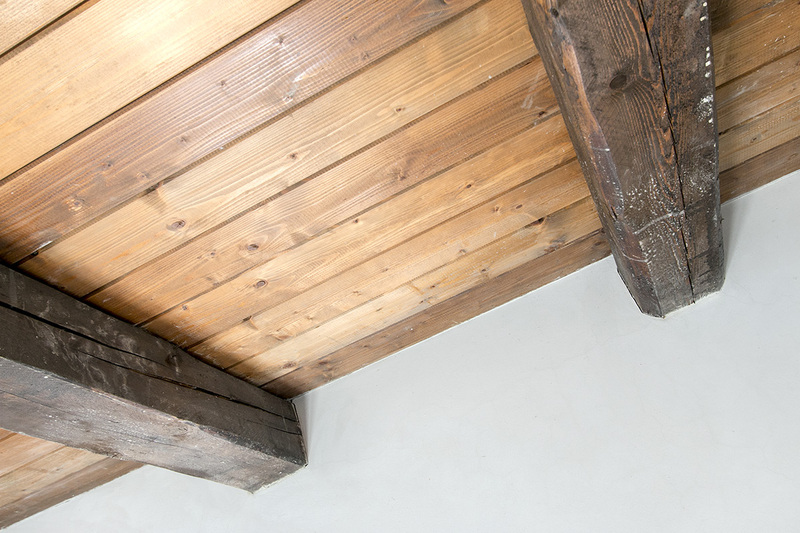 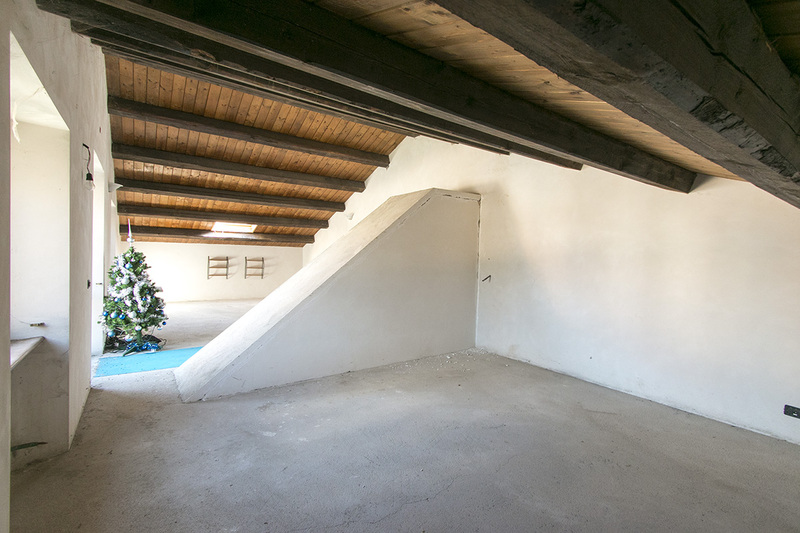 Another internal staircase leads to the second floor with wooden beam ceiling that given its current state to the raw “al grezzo” can be kept unfinished to be used as storage rooms or to expand the residential area of ​​the ground floor, or used as a bed and breakfast area with three bedrooms, three bathrooms and common kitchen or apartment for rent with the possibility of kitchen, living room, bathroom, two double bedrooms, one with private bathroom. 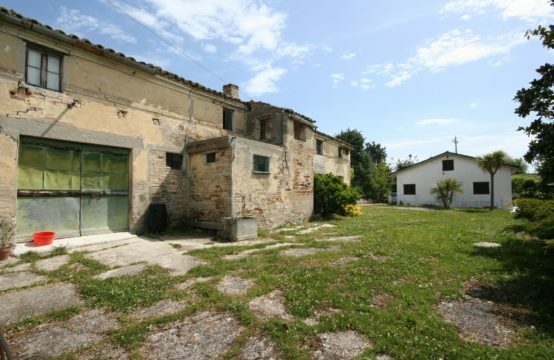 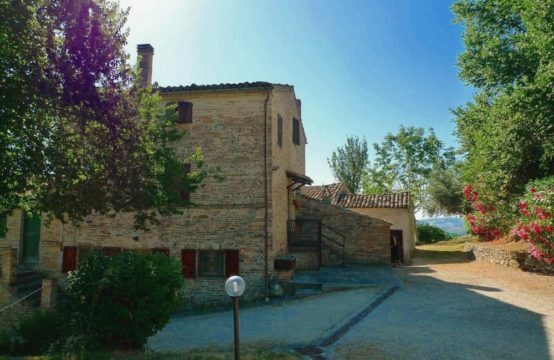 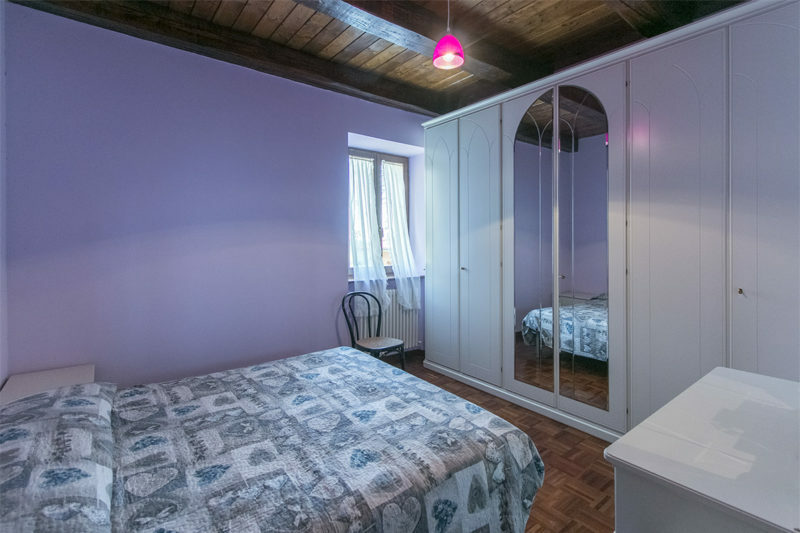 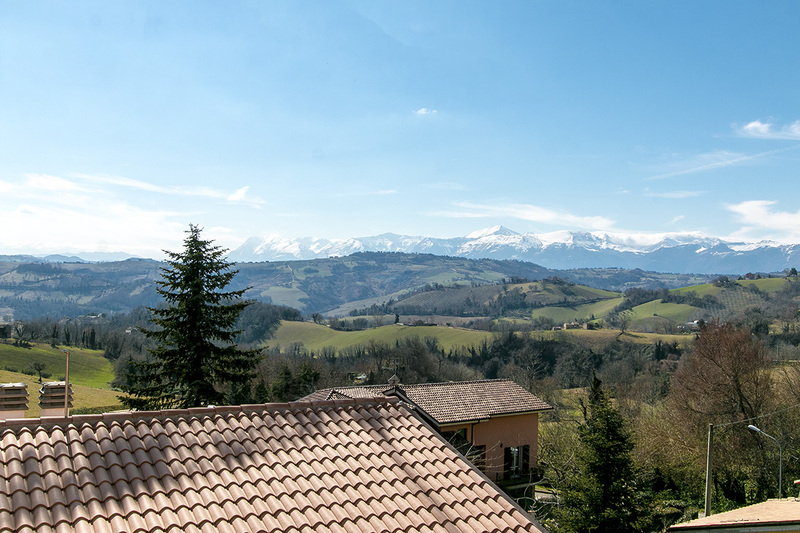 This property is an excellent opportunity both for private use and for tourist accommodation.